North Hills developer Kane Realty Corporation and Federal Capital Partnershave signed their second commercial tenant for their 18-story building, The Dillon, in downtown Raleigh’s Warehouse District. Heirloom Brewshop is expected to debut its first location in the new building next summer. The coffee, tea and sake bar is owned by husband and wife Chuan Tsay and Anna Phommavong, and is incorporated in Cary. The couple has spent this summer in Asia – including travels to China, Japan, Laos and Thailand– to research and develop the concepts for Heirloom’s beverages and menu. In July, Kane announced The Dillon signed national apparel retailer Urban Outfitters as its first tenant. Renovations on the former Dillon Supply warehouse to turn it into mixed-use building are still underway, and the first wave of office and apartment units are expected to open in February. 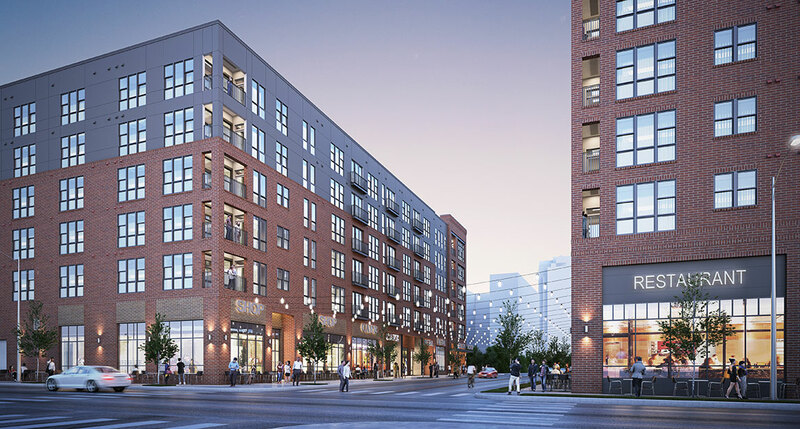 “As we expand and diversify the project’s retail, we believe a mix of national and local retailers will add a new and exciting element for the Warehouse District and Downtown Raleigh,” said John Kane, CEO of Kane Realty.